(17/P46) TRENTON – Registrations are being accepted for a fishing competition at the Youth Fishing Derby, to be held on Saturday, June 3 at Stacy Park. The free event will take place from 9 a.m. to 1:30 p.m., and is co-sponsored by the Department of Environmental Protection and the City of Trenton. The derby will be held rain or shine. Stacy Park is in Trenton, located off Riverside Drive and accessible from Lee Road, just off Route 29. 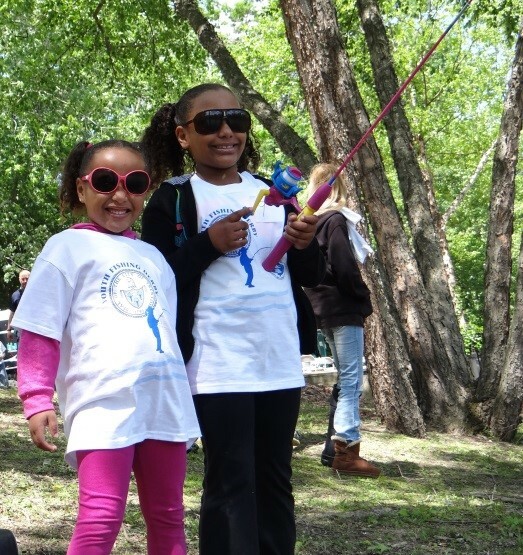 The first 100 registrants, from Grades 2 through 8, may compete in the fishing derby competition. Trophies will be presented for catching the first fish, largest fish, smallest fish and other categories. An awards ceremony will be held at the conclusion of the fishing derby to honor all winners. In addition to the fishing derby, the day will offer several interactive demonstrations and displays to educate participants about recreational fishing, water quality, aquatic plants and animals. Educational stations will be provided by several local organizations and agencies. DEP’s educational activities will be provided by the Division of Fish and Wildlife’s Hackettstown Hatchery and Hooked On Fishing - Not On Drugs Program, the Urban Fishing Program, the Bureau of Freshwater and Biological Monitoring, Delaware and Raritan Canal State Park, and the New Jersey AmeriCorps Watershed Ambassadors Program. Derby participants are encouraged to bring rain gear in case of inclement weather. Sunglasses, headwear, sunscreen and additional water and snacks are also encouraged for hot weather.